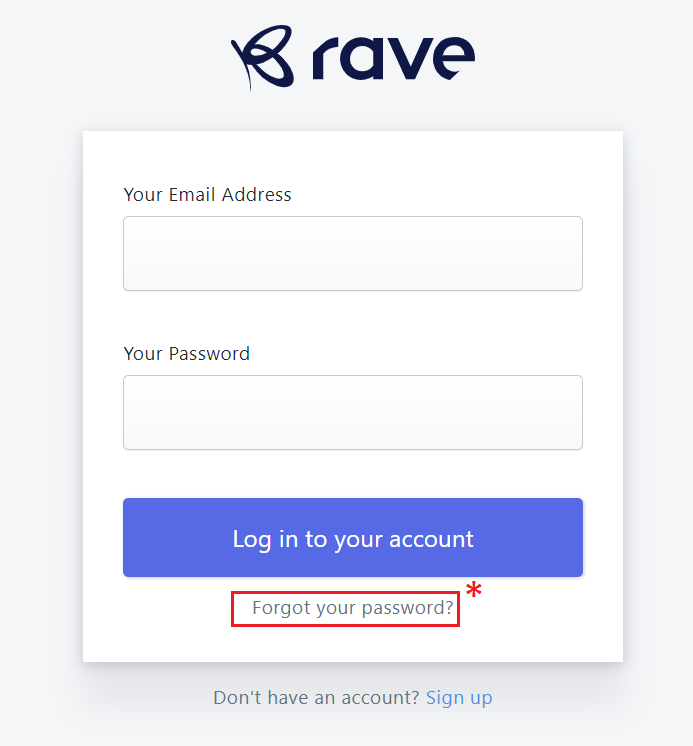 To change the password of your Rave account, simply head on to the 'Settings' page (1), under the 'General' tab (2), and click the 'Change password' button (3) as shown below. 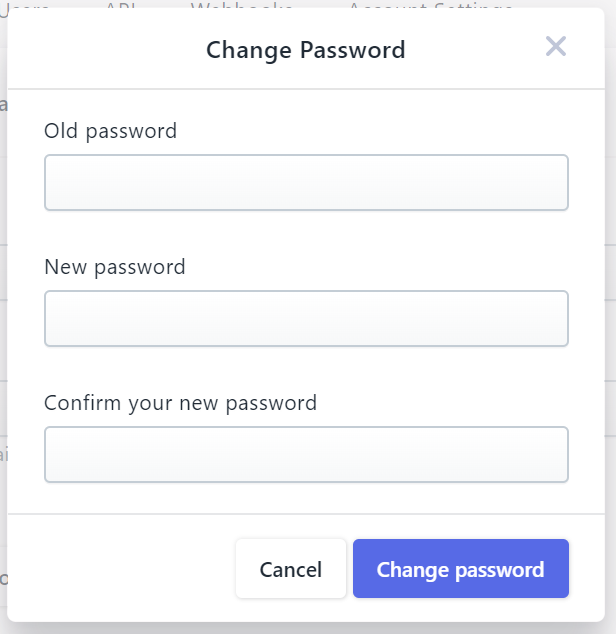 In the popup that shows, fill your old password and your desired new password and click the 'Change Password' button. If you have forgotten your old password, simply click on the "Forgot your password?" link on the login page. You will be asked to input the email you used to open your Rave account. 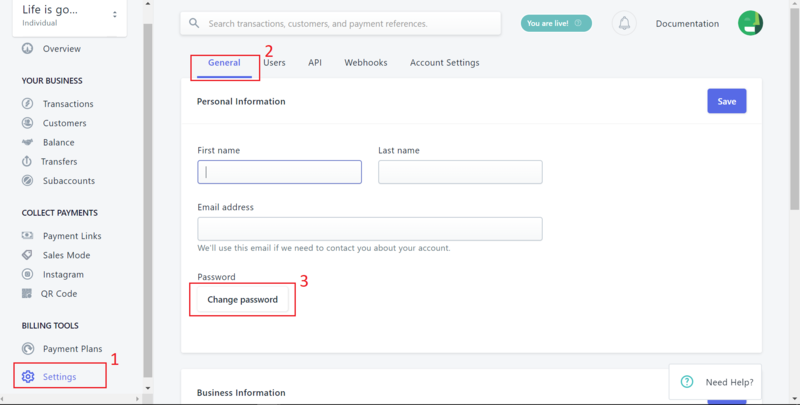 A reset password email will be sent to your email, you can then use the link in that email to reset your password.